Wing span (spanwijdte) 1860 mm 73.2"
Fiberglass fuse and balsa built -up wing. Wing Covering Material: Covering, painted, decals applied and clear coated. The aircraft has a beautiful glossy finish. It is scratch, tear and wrinkle resistant. The covering material is a brand name covering which has a special paint adherant layer. The covering goes on clear, and is then primed and painted, then clearcoated. 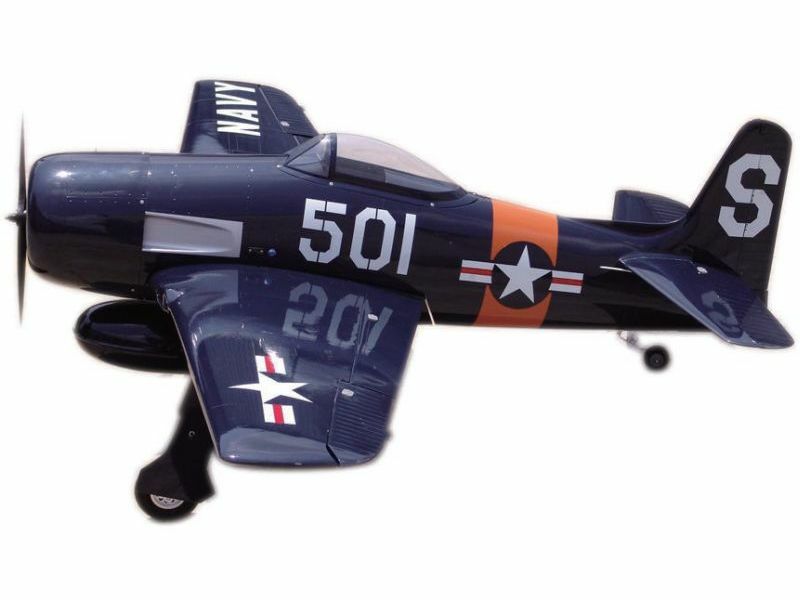 Designed to intercept enemy aircraft, the F-8F Bearcat was designed to climb quickly and cruise at a high rate of speed. As a naval aircraft, it used a proven engine (the Pratt and Whitney R2800 (from the F6F Hellcat) and was designed to be as light as possible. While marginally slower than the F4U Corsair, it could outclimb the corsair, and was significantly more maneuverable. Its bubble canopy also offered improved visibility over other naval aircraft of the day. 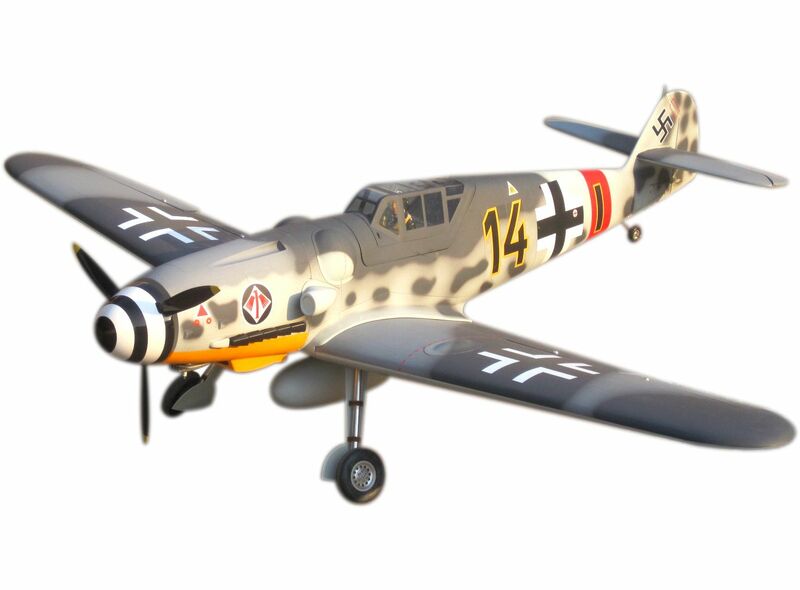 The design was heavily influenced by testing of captured German FW-190's. The design was finished in 1943, and the first squadron was operational by February of 1945, but it did not see combat before the end of the war. 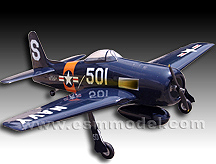 It eventually equipped 24 squadrons, including the Blue Angels, and set several piston engine records. It even out performed many early jets, and set a climb speed record of 94 seconds from take off to 10 000 ft., a record that took modern jets to break. The Bearcat was replaced by jets by the time the Korean war broke out, and so the only combat it saw was in Vietnam during the 1950's, when it was used by the French, and later during the American involvement by the Thai and South Vietnamese airforces, in both cases as a fighter bomber.